In such a relationship you are active and inspired. You will have more social contacts and we're talking here about real attraction. You want to improve each other. You inspire hope and desire and you have more friends. Gemini is active, Mercury and the Sun will give you ideas, and more opportunities to travel; Most affected by this relationship is that part related to speculation, plans, ideas, reports, creations and writings. You show great attention to luxury, beauty and domestic problems. The relationship is generally harmonious, despite the emotional fireworks. You tend to expect more from Gemini. You expect a sense of humor, charm and versatility, but you often interpret them as forms of craving and satisfaction. You are drawn to him because he flatters you, and you cannot resist that. You admire his speed in thinking and are fascinated by the friends you meet through Gemini. 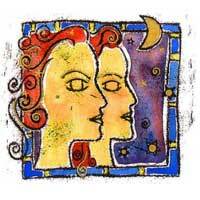 In return, Gemini has found their soul mate when it comes to ideas, travel and rebellion, subjects on which you think alike. 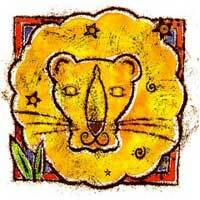 The combination is favorable, because Leo likes the lights on, emotionalism and to be praised - which are things that Gemini usually does. You gain pleasure from this relationship and it could last forever.